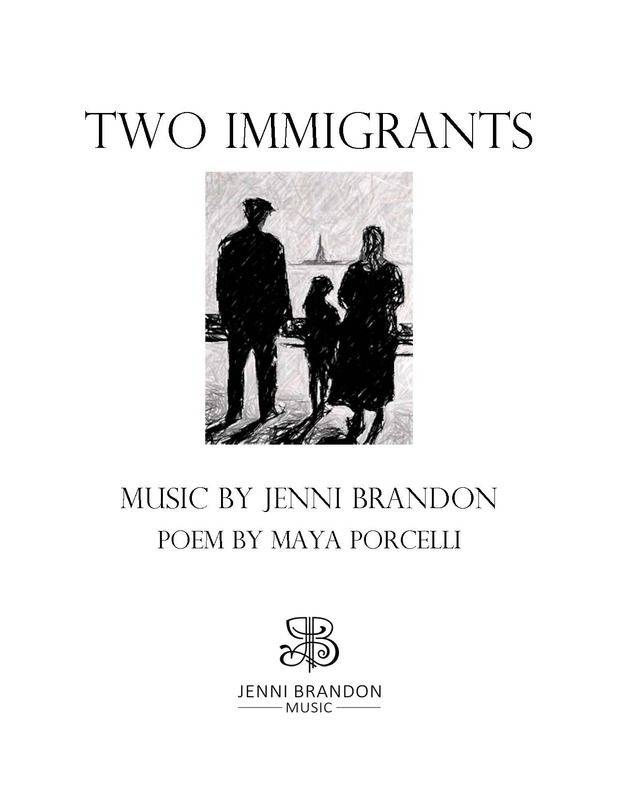 TWO IMMIGRANTS for SATB choir, cello, and piano tells the story of two young immigrants who come to America from a different land. They seek out what many immigrants did in coming to America – a chance to build a life, grow a career and family, and live the American dream. Great for high school choirs or community choirs.